June « 2009 « Welcome to Property Source Nation! 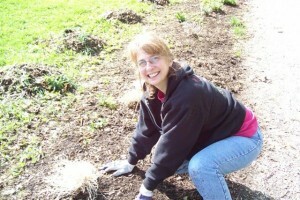 Members of the REALTORS® Charitable Foundation (RCF) the philanthropic arm of the Greater Rochester Association of REALTORS® were among a record-setting number of 1,200 community volunteers who participated in the 2009 City of Rochester Clean Sweep project. The initiative, created by Mayor Robert J. Duffy in 2005, takes place on four consecutive Saturdays and has become a team-building venue for neighborhood associations, church groups, school clubs and teams, and civic organizations. Each year, through the NeighborWorks® Healthy Blocks Initiative, RCF volunteers join forces to help clean and beautify city neighborhoods by removing litter and debris, planting flowers, and pruning trees. 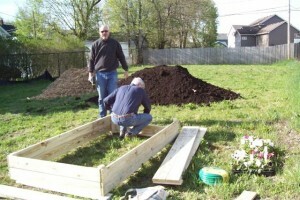 On Saturday, May 2, Bill Tierney, Marlynn Butler, Cindy B-Rosato, Paul Knipper, Jeannine Whitaker, Doug Sadowski, and Anastasia Markson were a part of the North Winton Village project team that assembled garden beds, picked up litter, weeded and mulched. Healthy Blocks is NeighborWorks® Rochester’s Targeted Neighborhood Initiative, which incorporates all NeighborWorks® Rochester programs and services in a tailored neighborhood-based delivery model. 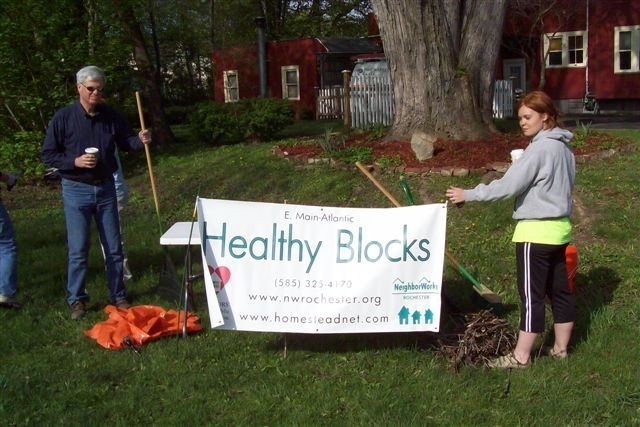 In addition to homeownership education, home improvement lending and lead hazards services, Healthy Blocks staff work with residents to develop leadership, increase community engagement, improve curb appeal, and positively impact the local real estate market within the neighborhood. Ideally, by the end of the program, each targeted neighborhood will have become a “neighborhood of choice” within the city of Rochester. This is defined as a place where people choose to invest their time and money and is reflected in a strong, stable real estate market. The Rochester REALTORS® Charitable Foundation is the Collective heart of Rochester’s real estate professionals, addressing critical housing needs, creating sustainable neighborhoods and encouraging homeownership. Since 2001, RCF has granted nearly $400,000 to over 35 area charities. The National Association of REALTORS® (NAR) reported that nationally close to 455,000 buyers purchased their first home during the first quarter of 2009. First-time home buyers are taking advantage of improved affordability, as well as lower prices of existing homes in foreclosure and short sales. But distressed sales – foreclosures and short sales – accounted for nearly half of all transactions in the first quarter of 2009. That contributed to a decline in the median home prices in most of the metropolitan area markets monitored by the NAR. The latest NAR quarterly survey of metropolitan area home prices showed the majority of markets — 134 out of 152 metropolitan statistical areas – experiencing declines in home prices compared to the first quarter of 2008. Eighteen metro areas showed price gains over the same period. The national median existing single-family price was $169,000; 13.8 percent below that registered in the first quarter of 2008. Metro area condominium and cooperative prices – covering changes in 56 metro areas – showed the national median existing-condo price was $172,800 in the first quarter, down 20.2 percent from the first quarter of 2008. Five metros showed annual increases in the median condo price and 51 areas had declines. Total state existing-home sales (single-family and condominiums) posted a seasonally adjusted annual rate of 4.59 million units in the first quarter of 2009. That is 3.2 percent off the sales pace in the fourth quarter of last year, and 6.8 percent below the pace in the first quarter of 2008. There were some bright spots. Seventeen states experienced sales increases from the fourth quarter, and six states posted higher sales than a year ago. The largest sales gain from a year ago was in Nevada, up 116.8 percent, followed by California where sales rose 80.6 percent, Arizona, up 50.2 percent, and Florida with a 25.0 percent increase. Virginia and Minnesota also experienced double-digit sales increases. It should be noted that sales in the first quarter do not reflect the impact from the recently enacted first-time home buyer tax credit. That impact will be felt going forward into the second quarter and the spring and summer seasons. In fact, the latest pending home sales index for March which monitors contract (not sales) activity registered an increase. In New York State, the April housing data show that the market continued to build momentum in the early spring as sales grew for the second consecutive month with a nearly 14-percent increase in closed sales compared to March. Anecdotal evidence continuous to indicate that first-time buyers are taking advantage of the favorable conditions by entering the market. With the $8,000 federal tax credit, low mortgage rates, and available inventory, REALTORS® from across the state are reporting an influx of first-time buyers into the 2009 market. 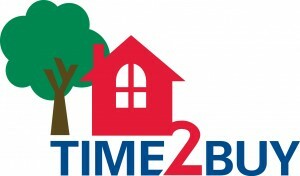 It is expected that first-time buyers will continue to drive the late spring and summer markets. The 5,026 existing single-family homes sold by New York REALTORS® in April represents a 13.7 percent increase from the 4,421 sales posted in March 2009, but is a 17.1 percent decline from April 2008. Median first-quarter metro area single-family home prices ranged from a very affordable $30,300 in the Saginaw-Saginaw Township North area of Michigan to $570,000 in Honolulu. The largest single-family home price increase in the first quarter was seen in the Cumberland area of Maryland and West Virginia; the median price rose 21.1 percent from a year ago to $114,900. The Davenport-Moline-Rock Island area of Iowa and Illinois posted a median price of $100,300, up 13.8 percent from the first quarter of 2008. The median price of a single-family home in Columbia MO rose 6.0 percent to $152,600. For existing condominiums, metro area prices ranged from $75,200 in Las Vegas-Paradise NV to $345,900 in San Francisco-Oakland-Fremont CA. The strongest condo price increase was in Portland-South Portland-Biddeford ME, where the median price rose 11.2 percent from a year ago to $196,900. Wichita KS experienced an increase of 6.8 percent in the median price of an existing condominium (to $113,900) and condo prices in Bismarck ND, rose 6.0 percent to $132,400. NAR analysts report that this is a bifurcated market with sharp differences between foreclosures and short sales on one hand, and traditional homes on the other. In areas with the biggest price declines, there are much higher levels of distressed sales. Distressed homes typically are selling for 20 percent less than traditional homes and thus are skewing median prices downward. But for those who own homes in good condition, their properties have held their value much better than distressed properties. Consequently, most sellers can still expect a good return if they’ve been in their home for a normal period of homeownership and haven’t tapped into their home equity too excessively. Still, it is a buyer’s market. Low interest rates, favorable affordability conditions in many markets, and the home buying incentives will continue to attract first-time home purchasers. Indeed, housing affordability conditions are at record high levels. Look for a measurable increase in home sales during the second half of the year, which would help stabilize prices in most areas. The Market is changing. That is a fact. How you choose to handle this change will dictate whether you fail or succeed in the New Year. I have heard Agents from coast to coast say “I can’t get loans approved anymore” or “There is no money out there” That is simply not true. There is money out there. You as an Agent need to find that money and learn how to prepare your Buyers for the change in the market. Rose Bernstein from Prime Mortgage in Rochester, NY said “While there is no shortage of mortgage money available, mortgages are no longer an entitlement to the unqualified. Lenders require borrowers to have employment; to verify an established pattern of savings for down payment and closing costs; and to evidence the willingness to repay revolving and installment debt as indicated by credit score. Those of us in the mortgage industry applaud this as prudent and responsible lending practices.” Well said, Rose. While some Agents may be moaning and groaning about this statement, it is actually a good change for the Real Estate Profession. It is good because you as an Agent need to be well trained and educated to survive. You have a chance to stand out and show that you are a Real Estate expert that can be depended on. Lending criteria is tightening up. My conversations with people in mortgage lending around the country lead me to believe we are going to revert back to the type of qualification and underwriting criteria that existed for decades prior to the relaxing and elimination of these standards that occurred and began to occur in 1997. Below are standards that existed before 1997 which may be indicative of what is soon going to be required for Buyers to be able to purchase a home. 1. Income: Banks may begin again to use qualifying ratios, income and debt ratios. The borrower’s income is multiplied by a percentage. The resulting number is the maximum that the bank will allow a borrower for PITI (Principal, Interest, Taxes, Insurance), a higher percentage is used for PITI plus installment debt. Installment debt refers to monthly payments on car loans, student loans, minimum payment on credit cards, child support etc. Gross Income Y % = PITI plus installment debt. Prior to 1997 Conventional ratios were 28% for PITI and 36% including debt. FHA was 29% and 41%. 2. Money – For conventional financing the banks required that the borrower have five percent of the purchase price of their own money available and accountable. Lenders required a verification of this and the money had to be in the borrower’s account for at least six months. 3. Employment – Lenders required written verification that the borrower was in same profession or line of work for a minimum of two years. want to see a borrower with a lot of active but unused credit cards because of the potential for over borrowing after closing. This level of scrutiny is likely to return. For many newer Agents’ who are not familiar with these standards, I suggest you learn and understand them. Then relay that information to your Buyers. Prepare them for the higher standards as you prepare them for the entire process especially the lending faze. 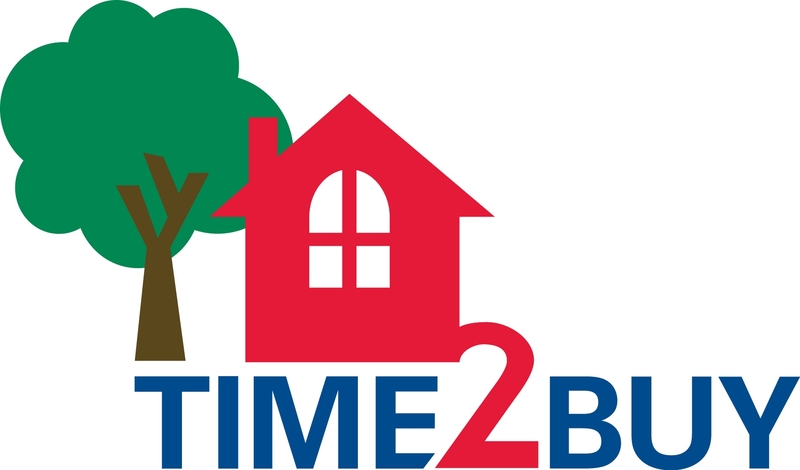 This is applicable for first time home buyers who have never gone through the process and for buyers that may not have purchased recently and may be familiar with the less then stringent criteria of recent years. Some borrowers are going to be disappointed and take these stricter criteria as an affront as they may have gotten a mortgage or had friends get mortgages in the past and now won’t qualify under these stricter guidelines. Now is the time, if you haven’t already, to create a strong buyer presentation. Gone are the days of simply showing a Buyer a few houses, writing an offer and closing the deal. You need to put real effort into obtaining buyers, keeping and getting Buyers into their new property. A strong buyer presentation will cause the Buyer to want to work with you because you will give them what they want, guide them, take care of their needs and protect them from dangers that now are especially prevalent. A strong buyer presentation will prepare the buyer for pitfalls such as; during the Buyer’s approval process the lender may continuously ask for more documentation and verification. Prepare the Buyer and instead of the Buyer being resentful and resistant when this happens they will be accepting and grateful to you for preparing them. Assure Buyers that there is money available at excellent rate and terms as long as the borrower is employed with enough income to keep up the payments, reasonable credit and a little bit of their own assets. The Agents that prepare for these changing lending criteria and those who effectively prepare their Buyer’s for it will be more successful.